Get more out of Push Notifications. Hear My Voice (HMV) is a civic engagement platform that puts democracy back in the hands of the people. The premise of the application is to provide a platform “to inspire meaningful civic engagement” by giving the user “tools that will actually make a difference.” The mobile app lets you call, email, and tweet your representatives at a local, state and national level. You can also voice your opinion on and follow several current issues within the app’s community. The iOS and Android apps are just two of four components we built for them, there is also a web application and a Content Management System (CMS). The first few iterations of the app had only basic push notifications that fired automatically when a new issue was added to a topic that you followed, but there was no real way to communicate with users outside of that. It became very evident that they needed something more powerful while being easy to manage by the client. That’s when we collectively considered implementing Urban Airship. We began development. Implementation was straightforward, but we did run into a few snags. The UA Message Center is meant to be used pretty much as is. You can change the font and colors to match your app, but that’s about it. Items in the Message Center List can support thumbnail images, but can only be added via their API. There is no way to add images using their Dashboard. Their documentation is good, but there is so much content that it may be hard to figure out how to do more obscure things like setting up deep link templates and other more powerful features. On the flip side, Urban Airship’s technical support team was easy to work with and were very knowledgeable. They were able to offer solutions to help us get the job done quickly. User segmentation also quickly became a problem. Prior to this integration, HMV decided to try out Amplitude, a different analytics reporting platform. While it did have some ideal features over their older analytics platform Mixpanel, Amplitude imposed a far more expensive tier requirement for exporting behavioral cohorts to Urban Airship. Knowing the budget that HMV had, we worked closely with them to regroup and come up with an alternative solution. Fortunately, HMV started using a cost effective analytics tool called Segment, which forwards tracked events to virtually anywhere, a few months prior to this change. This meant that we could easily redirect data coming into another analytics platform without having to update code app-side. Since HMV still had an active account with Mixpanel, we pointed event data there and explored how we could get it out to Urban Airship. The only problem with Mixpanel was that there was no way to export user segments from their Dashboard. We ended up building a custom reporting tool that leveraged the Mixpanel API and exported a CSV of virtually any user segment that was being tracked. Despite the setbacks, we were able to successfully implement Urban Airship for Hear My Voice. Ongoing development for features like fully integrating automated messaging campaigns, new user campaigns based on what actions users haven’t taken in the app, like following an issue or comment on one, are still in the works. We are continuing to helping HMV get the most out of UA, but they can already see that the implementation has positively affected user engagement. For those who are thinking they might be able to benefit from implementing something like Urban Airship, do it early. 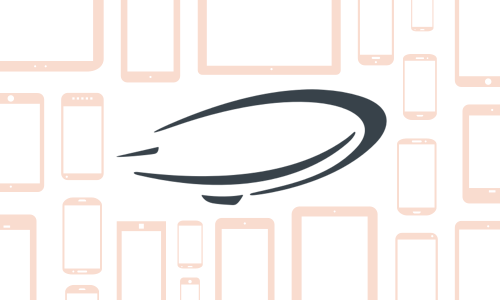 In a little less than a year HMV had over 26k downloads, but a fraction of that have updated to versions of the app with Urban Airship since they first came out in February 2017. The daily active user count is growing, but I am sure that those numbers would be higher if this was implemented sooner. Measure twice, cut once. Take the time to research all of the components you are working with. On the surface, you may think certain tools and APIs will work for your needs, and they may very well do so, but take a thorough look at the documentation, pricing and project requirements first. This will save time and money in the long run. It truly pays off to do a little extra homework before starting something big. Retaining users and keeping them engaged can be an arduous task, but it doesn’t have to stay like that. Leveraging the powers of built-in features like push notifications and easy to use services like Urban Airship can help you grow your business. Think your app needs a push? Fill out our Contact form or give us a call at 321-316-4724. We would love to chat.